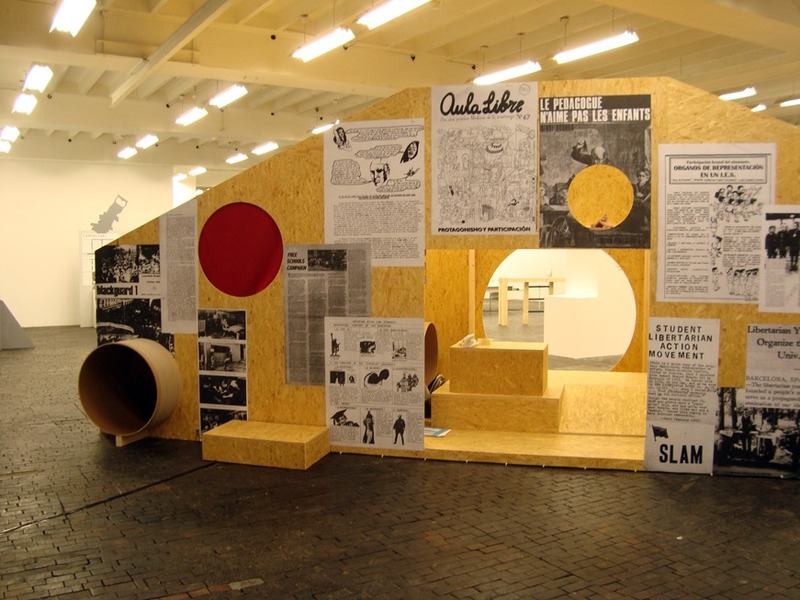 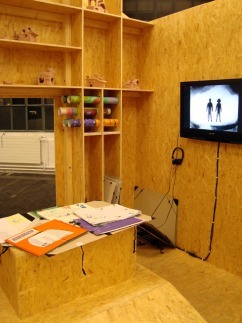 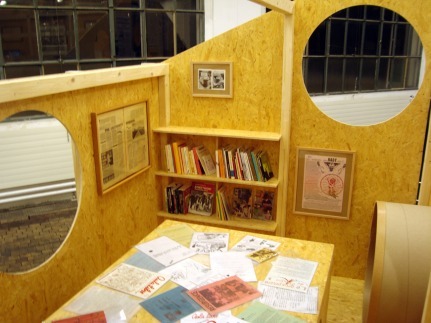 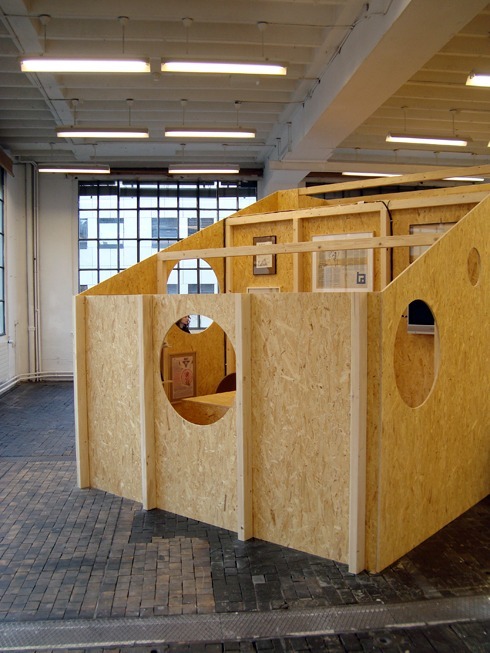 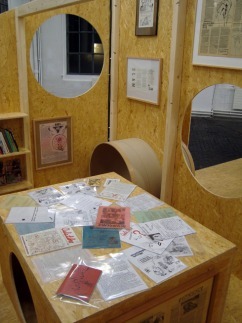 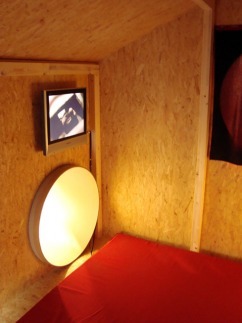 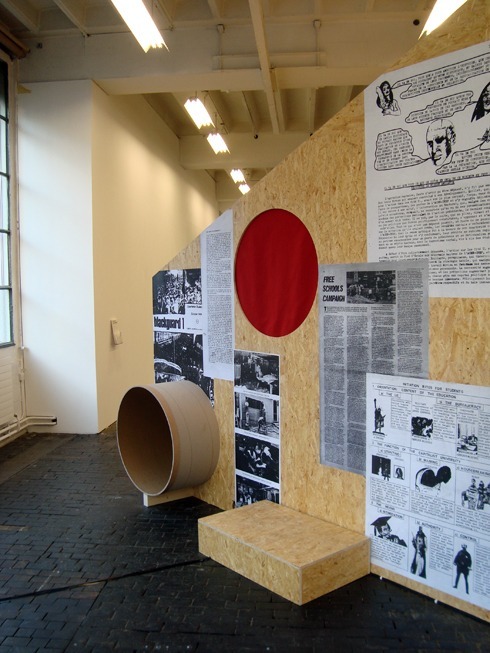 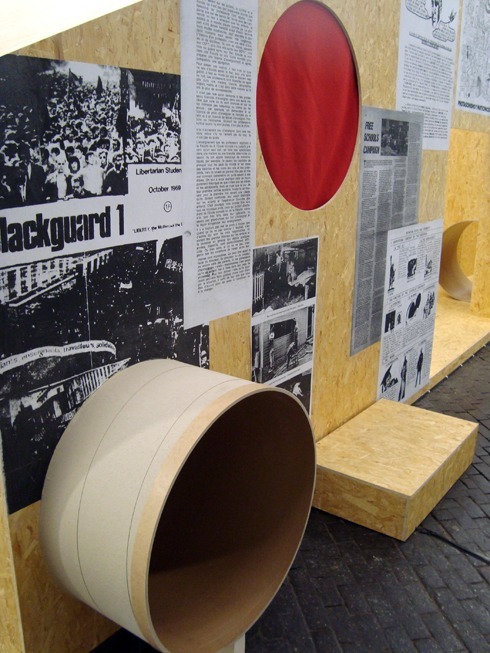 A temporary structure built to display archival material on anarchist forms of education from le Centre International de Recherches sur l'Anarchisme (CIRA) in Lausanne, Switzerland. 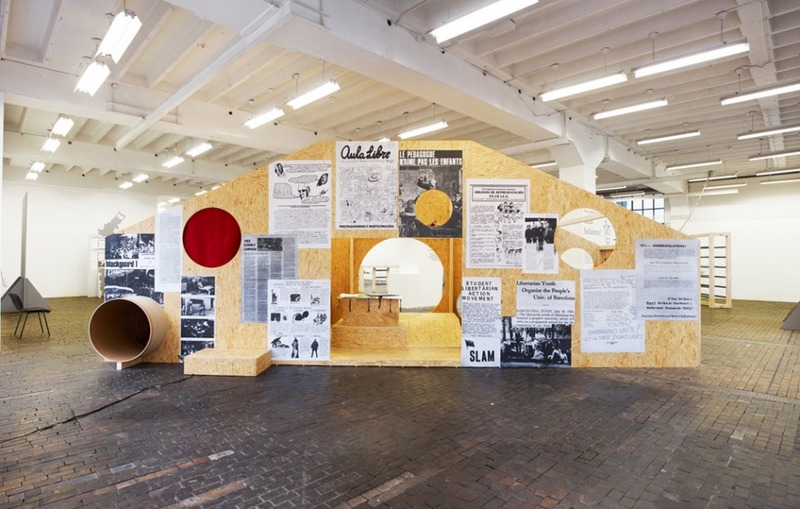 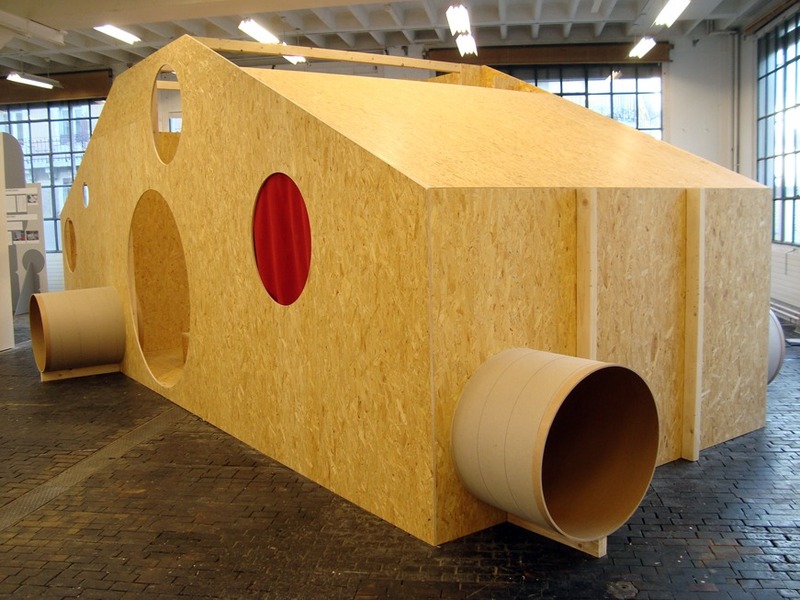 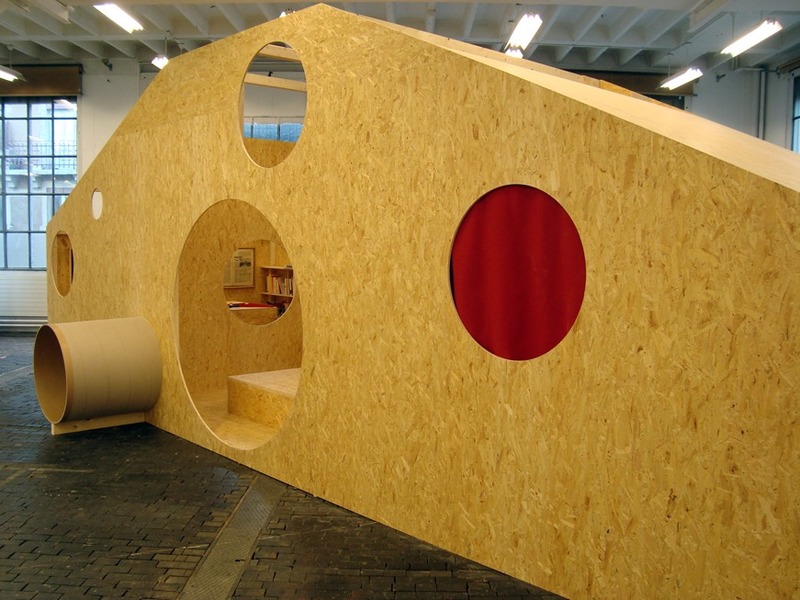 Working together with CIRA and Lausanne-based artist Tilo Steireif, the structure was designed and built for the exhibition Utopia and the Everyday at le Centre d'Art Contemporain, Geneva, Switzerland. 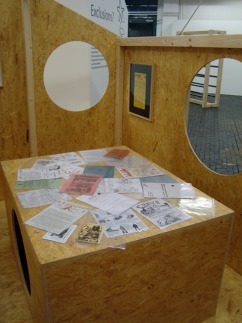 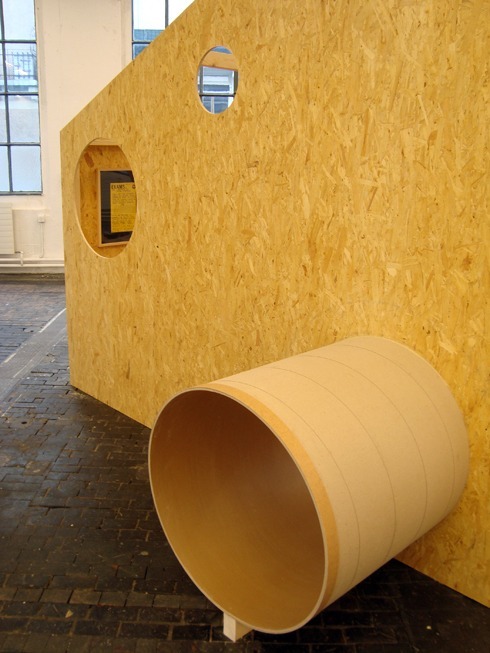 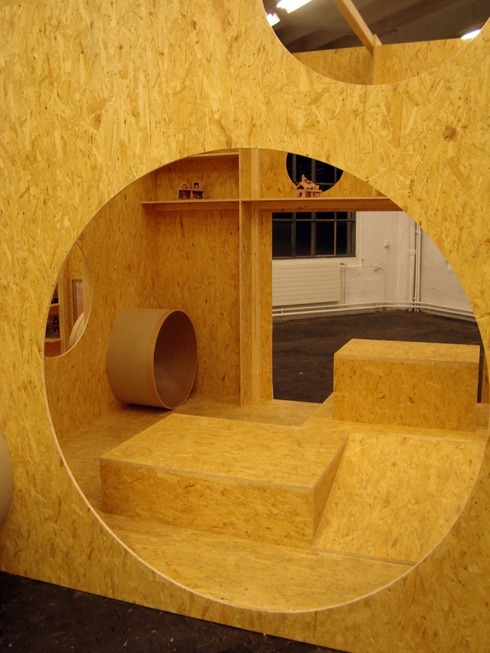 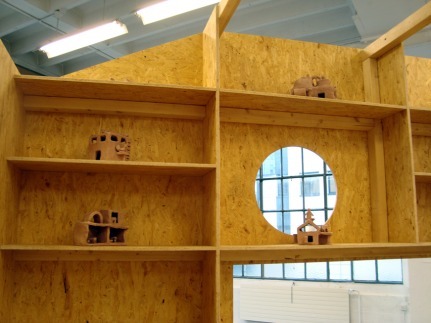 The small pavilion also displayed material collected from a series of workshops developed by Tilo Steireif with local high school teachers and their students. 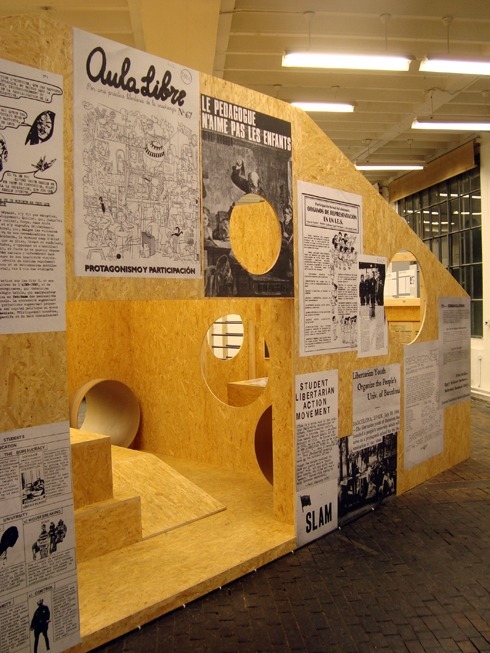 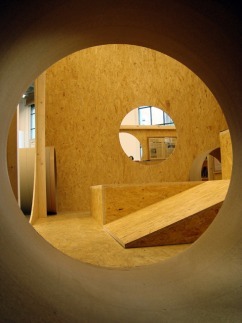 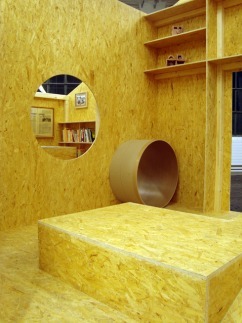 After its exhibition life the structure was converted into a local theatre's changing room.